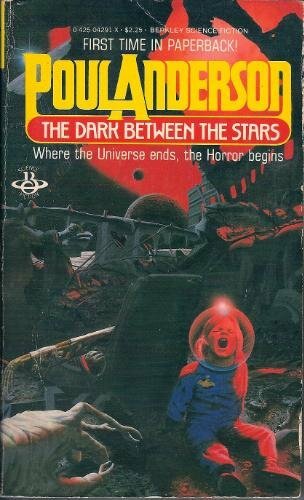 by Poul Anderson | Science Fiction & Fantasy | This book has not been rated. A book of older short stories, original copyright ranging from 1957 to 1975. Unlike some other older science fiction/fantasy, these stories have held up well. Please make a journal entry to let us know the book is in safe hands and where you found it. This will keep its unique history up to date and we can all follow its travels. After you've finished with it, feel free to pass it along to someone else...or why not leave it in a public spot for someone else to find...just like you did! If you decide to join us at BookCrossing, please consider using me, mammajamma, as the person who referred you. I just found the book on an outside table at Starbucks. The passing it on concept, as well as its history, interested me, therefore . . . I will read it and send it on its way. I left this book at 7:00 AM on Tuesday, 8/8/17 @ Starbucks and didn't get around to making release notes. I got notification on Wednesday, 8/9/17 that it had been picked up and journaled! This is the first time (I think) that this has happened to me. I hope you enjoy these stories, I certainly did.